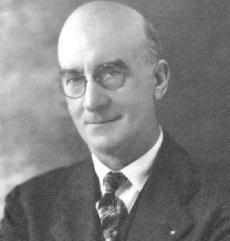 Bradford Knapp was the son of Seaman A. Knapp, a noted agricultural educator. In 1892 he graduated with a bachelor’s degree in chemistry from Vanderbilt University and four years later received a law degree from the University of Michigan. In 1909 he became an assistant to his father, who was then chief of farm demonstration work for the Bureau of Plant Industry of the United States Department of Agriculture. Two years later, Knapp followed his father in that position, which he retained until 1915, when he became chief of southern extension work for the States Relations Service of the USDA. In 1920 he became dean of the College of Agriculture at the University of Arkansas and then from 1923 until 1928 president of the Oklahoma Agricultural and Mechanical College. After he left Auburn, Knapp served as president of the Texas Technological College until his death. Listing of the records generated by the President and his office during his tenure. Arranged by subject. Chronicles the significant events of the President's term in office, including the activities of the schools and departments. Provides another view of the events treated by the President in his Annual Reports. Letters between the President of the University and various political leaders within Alabama. Provides insight into how the school has maneuvered through the state's political system. Letters between the Alabama Governor and constituents regarding this President's adminstration. A short chapter about the major issues facing the President, written by Archives faculty members.